Employer branding is the process of promoting a business or company as an employer of choice among the target group of desirable talents. The process facilitates the company’s ability to attract, hire and retain top talent right. The next stage of employer branding process is to contribute to the achievement of the business plan of the company. What is the nature of the employer branding process? As seen in the previous article, it is better to perceive employer branding as a process, dynamic and constantly evolving. At the core of it stands the identity of the company – its values, vision and mission. The company must make sure that there is proper communication both with potential talents and the current ones. In turn, this sets some clear changes, which are good to happen internally in the partnership between two of the key for the development of a company teams. Namely Marketing and HR departments. To build an image of an attractive employer you will need patience and very good communication skills. As you probably guess why it is necessary to cope better with contacts different people. Ultimately, your employees are the ones who could tell you what may be subject to changes and development in your corporate policy and culture. You are asked to be patient, empathetic and open to hear what you say. Because you may think you have the best EVP (Employer Value Proposition), but be sure: your needs and views differ from those of your employees. What does the employer branding process includes? Research and consulting services: The company needs to understand what are the opportunities to offer candidates. What lies in its EVP, through which an organization connects to current and future talent. But to be truly strong, one’s EVP, it must be supported by both the managers and the director. If the company is not fully aware or uncertain of its EVP, employer branding process could not be effectively carried through. 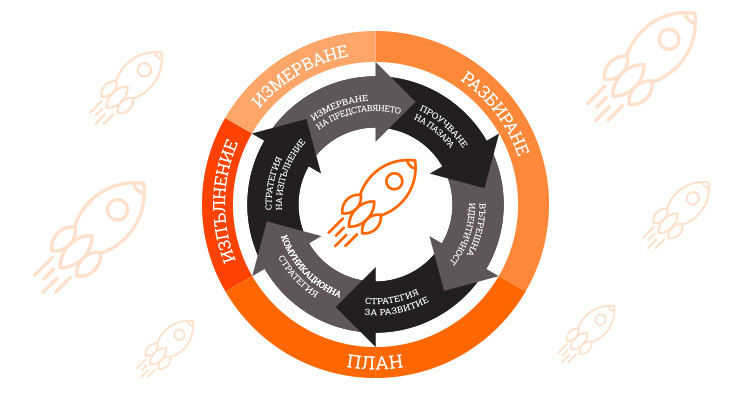 Activation of the potential pool of talents: this phase requires a holistic approach to communication and strategic partnership between HR and Marketing. The aim of this partnership will be to build a strategy – first to reach as many potential talents, and later to select the most suitable that would fit not only the requirements of the position, but the corporate culture. 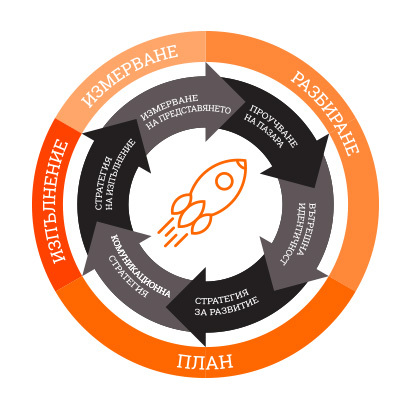 KPI (Key Performance Indicators): development and tracking: For effective employer branding campaign have to constantly test new things and improve old ones. But how can we evaluate what works and what does not unless we have clear benchmarks to measure. As a rule, if you use different channels of communication with your talents, it is not mandatory, but in the long run this would bring us valuable statistical information on which to measure our future employer branding campaigns. Effective employer branding process is a combination of market research, consulting, communication and marketing, to achieve a reliable and well-positioned brand. As a cyclic process, continuous performance measurement is a mandatory part of the process of building new and improving old strategies. It all starts with understanding the unique qualities that an employer holds. A continued understanding and perception of this process as a live, viable and attractive entity. Entity that communicates and attracts or repels future and existing talent within the company. And let’s not forget: the ultimate goal of every employer is to attract the best and to develop their business while achieve its strategic objectives. If you want to develop a stable and positive EMPLOYER BRAND watch out for our publications with global trends in building EMPLOYER BRANDING.